Do you struggle to open your front door while you are carrying the groceries inside? Do you have elderly parents who could benefit from an automatic door? 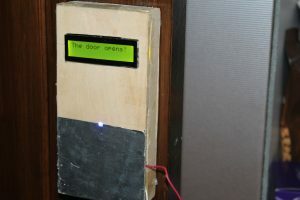 With this project from Saral Tayal you can add a motor to any door around your house for effortless opening. 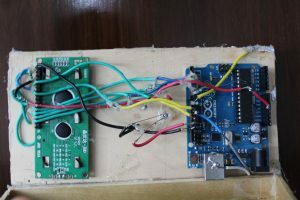 The door opener uses an Arduino to control a geared motor which opens the door and an LCD which provides feedback about the door status. Check out the video below to see the door in action! This is a really cool project and has a lot of potential to be integrated into an existing home automation system. To get started check out the following instructable. Thinking about making your own automatic door? Have a project you would like us to feature in this blog? The team at SuperHouse Automation would love to know! Tell us about it in the comments section below or on Facebook and Twitter.